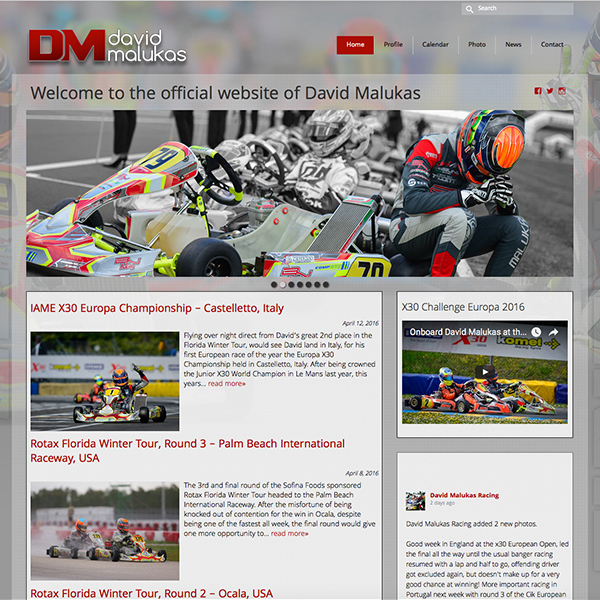 A professional website for your driver or racing team offers more recognition for your sponsors, an online resource for selling apparel, an online hub for your racing program, photos, stats, results, video and much more! 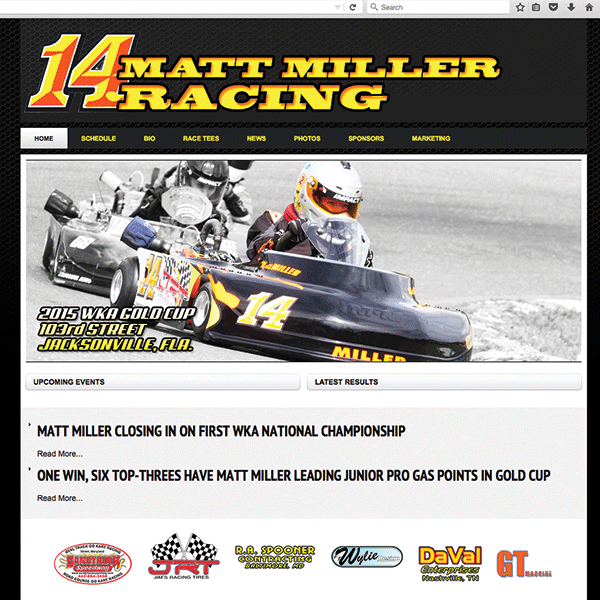 If you’re serious about your racing program, promoting your brand and giving back to your loyal fans and sponsors, we can build you a sharp, professional website. This site will work together with your social media and press releases (if desired) to provide a strong online marketing presentation. Our websites are easy to manage yourself, or you can have us do it for a small monthly fee. Website design prices are negotiable depending on your needs and budget. 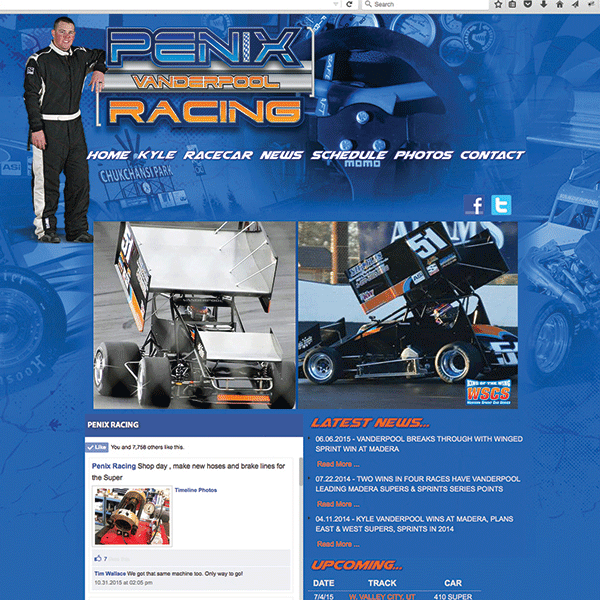 Here’s a quick rundown of what’s included in a top-of-the-line New Concept Media Driver / Team website package.